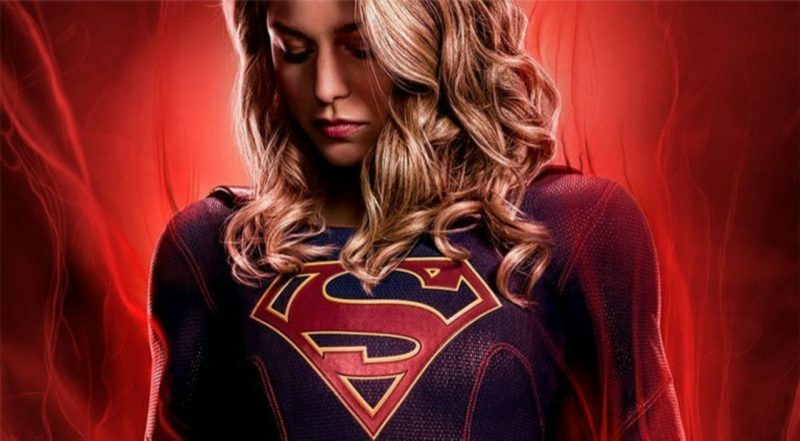 Supergirl returned to reality this week after riding the Lex Luthor party train for the last two weeks. That being said this was still a very strong episode even with the absence of Lex. A fast paced, action packed episode which was expertly written with some outstanding performances. In particular David Harewood and Katie Mcgrath stand out this week. There are two main stories to follow this week that i’m sure will come together down the line. The first is surrounding J’onn J’onzz and his identity crisis. Struggling to know his place in the world and what type of man he should be. After the passing of his father J’onn has been a man of peace. Events in the last couple of episodes have prevented J’onn from being a full pacifist. The killing of Manchester Black last week is playing on J’onn’s mind and knows he can’t be a man of peace with that death on his conscious. While meditating J’onn has a visit at his office from his father. 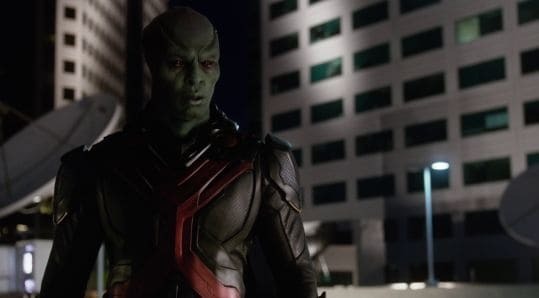 Unsure if his appearance is real or a part of a vision David Harewood delivers arguably his most emotional performance to date. A very touching moment as a son comes face to face with his father who he is still grieving over. The on screen chemistry between David Harewood and Carl Lumbly was evident from the first time they met on screen back in season 3. This episode which may be their final was a perfect end to their partnership. The conclusion to this was music to my ears as J’onn finally after four seasons, announces that he is the Martian Manhunter. The second story and second great performance this week focuses on Lena Luthor. 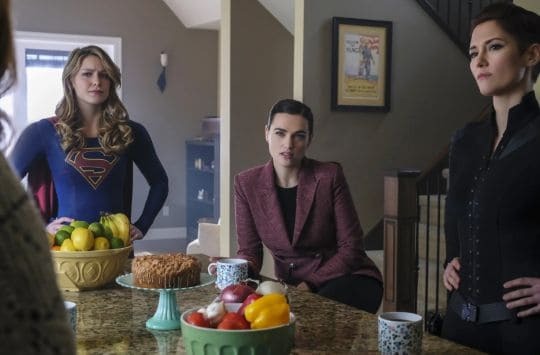 Lena has agreed to put her differences aside with Supergirl as they once again team up with Alex. The dynamic trio are in search of Lex and believe Eve Tessmacher is the week link to Lex’s operation. Much like J’onn and his father, Lena’s story this week is connected to her mother. Still locked up in slabside prison, Lillian becomes Lena’s sounding board as Lena desperately tries to uncover the location of Lex. Their relationship has never been an easy one but the pair have great onscreen chemistry, further demonstrated in this episode. Lena is never one to show strong emotions and after her upbringing, who could blame her. What Katie Mcgrath does really well in this episode is show us the pain she is in when she learns Lex is plotting to kill Lillian while at the same time not letting her mother know she cares. Finally the glue to this episode was our titular character Supergirl. She is the used brilliantly this week as the one character that connects the dots. She spends time comforting J’onn after the ordeal with his father in an almost reverse role. Over the past four seasons it has typically been J’onn comforting Kara, it was very nice to see the development of her character and their relationship. She is also side by side fighting with Alex and Lena on the hunt for Eve and Lex which doesn’t end well for our hero. The final cliffhanger is all Supergirl. Kara is tricked by Eve and out of commission while her russian doppelganger wrecks havoc on the White House. A scene that has a Superman 2 movie feel about it.